I always knew I wanted to be a librarian. Ever the Philadelphia loyalist, and armed with the wisdom of my past self, I returned to school, receiving my MSLIS from Drexel University in spring 2013. 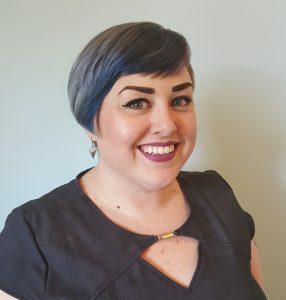 Through my coursework, I knew that I wanted to work in public libraries, and I was drawn to research work involving the LGBTQ community: preservation, oral histories, resources, and bibliographies. After graduation, I took a part time job as a library assistant in the Youth Services department of Cherry Hill Public Library (CHPL), a busy and vibrant municipal library approximately eight miles east of Philadelphia. In in fall 2014, I was hired for a newly created Outreach Librarian position. I loved the idea of bringing our library into our community, finding ways to let people know about the important and evolving role of modern libraries, and creating and strengthening partnerships with our township government, school district, small businesses, and local nonprofits. I also wanted to continue some of the work I began at Drexel. I knew that CHPL had LGBTQ books and resources for all ages, but it wasn’t a topic touched on in our programming. In June 2015, LGBTQ Pride Month, I launched “Pride at the Library,” a program series highlighting local organizations and speakers, like PFLAG Collingswood and the Trans Oral History Project, and screening LGBTQ movies and documentaries. I felt strongly that, as this was a topic that was becoming increasingly prevalent in media and politics, libraries were a perfect venue to provide factual information, resources, and a place for civil conversation. The series has grown more popular each year, and has featured book club discussions, workshops from Garden State Equality and the Mazzoni Center, and Drag Queen Story Time. 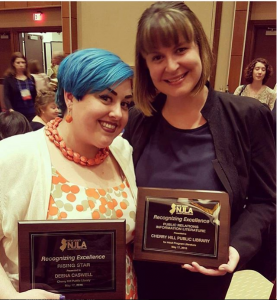 With my work in creating Pride at the Library, and expanding our library’s outreach initiatives, I was named a 2016 Rising Star by the New Jersey Library Association, where I also serve as a Member-at-Large for the Diversity and Outreach section. In September 2017, I was promoted to CHPL’s Supervisor of Outreach and Diversity. In this role, I manage and direct all outreach initiatives for the library, supervise our federal work study students, and craft programming and outreach to underrepresented and underserved communities. I became familiar with the work of NNLM MAR through its professional development opportunities, participating in several webinars, as well as attending sessions led by NNLM members at regional conferences. I connected more directly with NNLM through Elaina Vitale, who saw my presentation on LGBTQ programming and resources at the 2018 Urban Libraries Unite conference. 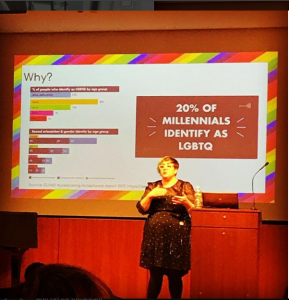 This led to me conducting a NNLM webinar, “Pride at the Library: LGBTQ Programming for All Ages” during Pride Month in June 2018, and CHPL officially joining NNLM MAR. As engaged public librarians, the CHPL staff was eager to take advantage of the resources and professional development offered by our RML. Now more than ever, the public is looking for places to access reliable information on a diversity of topics, to gather with their community, and to learn. I believe strongly that libraries are those venues. I am so glad to have my library as part of NNLM MAR, providing training to our librarians and accurate health information to our patrons. Written by Deena Caswell, Supervisor of Outreach and Diversity at the Cherry Hill Public Library in Cherry Hill, NJ, for the Summer/Fall 2018 edition of The MAReport quarterly newsletter.